This project has received funding from the European Research Council (ERC) under the European Union’s Horizon 2020 research and innovation programme (grant agreement No 694254). Why do people convert to Islam? The contemporary relevance of this question is immediately apparent. Assessing genuine belief is difficult, but the impact of trade, Saints, Sufis and Holy men, proselytisation, benefits gained from Arabic literacy and administration systems, enhanced power, prestige, warfare, and belonging to the larger Muslim community have all been suggested. Equally significant is the context of conversion. Why were certain sub-Saharan African cities key points for conversion to Islam, e.g. Gao and Timbuktu in the Western Sahel, and Harar in Ethiopia? Archaeological engagement with Islamisation processes and contexts of conversion in Africa is variable, and in parts of the continent research is static. This project, directed by Professor Timothy Insoll, Al-Qasimi Professor of African and Islamic Archaeology at the Institute of Arab and Islamic Studies, University of Exeter, is exploring Islamic conversion and Islamisation through focusing on Harar, the most important living Islamic centre in the Horn of Africa, and its surrounding region. 17th-18th December 2019. Project Conference on Archaeological Perspectives on Conversion to Islam and Islamisation in Africa (see link for details). October 2017. 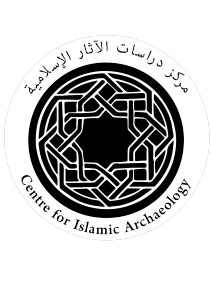 Seminar in the Institute of Arab and Islamic Studies on current PhD and Post-Doctoral Research in the Centre for Islamic Archaeology. June 2017. Formal launch of the new Centre for Islamic Archaeology in the Institute of Arab and Islamic Studies with Professor Timothy Insoll as Director. April 2017. “Islamic Archaeology in Global Perspective Conference”, Bahrain National Museum (11th-14th April). Organised by Professor Timothy Insoll with the Bahrain Authority for Culture and Antiquities. Islamic archaeology has been neglected in Ethiopia, and is wholly non-existent in Harar. Excavation is permitting evaluation of urban Islam, the veneration of saints, pilgrimage and shrine based practice, rural Islam, architecture and jihad, changes in lifeways, and early and comparative evidence for Islam and long-distance trade, through analysis of, e.g. architecture, epigraphy, burial orientation, imported artifacts, and faunal and archaeobotanical remains. Harar was and is a centre for Islamisation and the focus of both trade and Muslim pilgrimage routes that connect it to its wider region. Despite its importance, the origins of the city remain obscure, with traditions giving foundation dates variously of the 7th, 10th, and mid-16th centuries AD. The importance of Harar is reflected in the listing of the Old City as a UNESCO World Heritage Site that contains within its wall, the djugel, approximately 2000 houses, 82 mosques, and over 100 saints’ tombs and shrines. The fieldwork in Harar has five main aims. Assessing the origins of Harar through establishing an occupation chronology. Assessing the role of Harar in regional trade, religious and political networks. Providing information on Islamisation processes in Harar and the wider region. Examining the importance of regional and long distance trade over time. Examining possible predecessor sites to Harar. Test excavations at a range of sites in Harar were completed in partnership with the Ethiopian Authority for Research and Conservation of Cultural Heritage (ARCCH) and the Cultural Heritage Bureau in Harar. Within Harar, these included an iron-smelting site at Shagnila Toya, the palace of a former Amir (ruler) in one of the possible original areas of settlement in Harar, Hamburti, and in a cemetery linked to the shrine of Amir Nur, one of the most revered Muslim saints in the city. 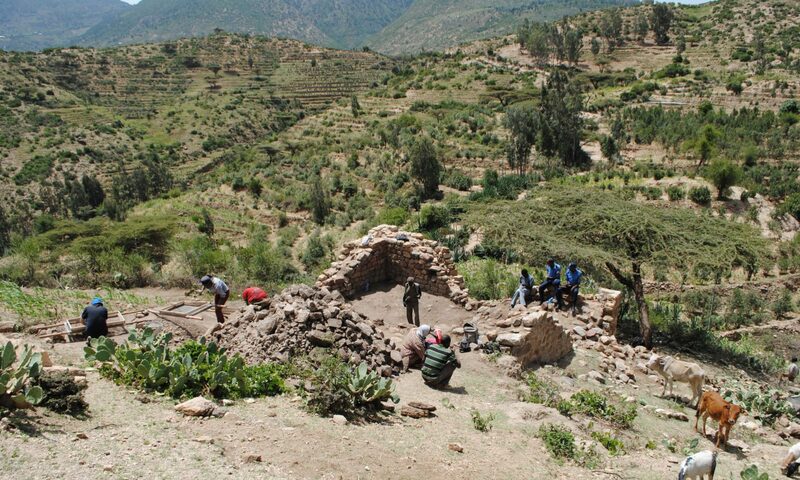 Outside Harar, excavations were completed at the abandoned walled site of Ganda Harla and at Tulu-Korefta, which according to tradition is the original settlement of the Argobba people of Koromi. A burial tumulus was also partially excavated. TL and AMS C14 dates ranging from the 13th to 18th centuries AD were obtained. Attention has also been focused on the site of Harlaa, situated c. 45 km northwest of Harar and some 15 km from Dire Dawa. Harlaa is a possible predecessor to Harar and two sites have so far been excavated in partnership with the ARCCH and the Cultural Heritage Bueau in Dire Dawa. The sites excavated are a mosque, and part of a settlement area. From the latter, extensive evidence for both long distance and regional trade was recovered including a diverse bead assemblage (glass, rock crystal, carnelian, coral, banded agate, shell), Chinese Celadon and probable Qingbai porcelains, and ‘Mustard’ wares of Yemeni provenance, as well as other glazed wares as yet unidentified. It is likely that the building complex being excavated is the remains of a jeweler’s workshop. The AMS C14 dates range between the mid-12th and mid-13th centuries AD. As part of this project, a post-doctoral Research Fellow, Dr Nadia Khalaf, is completing topographic survey of the sites, and research on the application of aerial imagery of Islamic sites in Ethiopia for site identification, management and protection. A PhD student, Nick Tait, is also undertaking analysis of the ceramics from the excavations and examining the utility of surface collected pottery assemblages as indicators of chronology on Islamic sites in eastern Ethiopia for his thesis research. Prior to the European Research Council, the University of Manchester (2013), the British Academy (2014), and the Fondation Max Van Berchem (2015, 2016) funded the initial phases of the fieldwork.